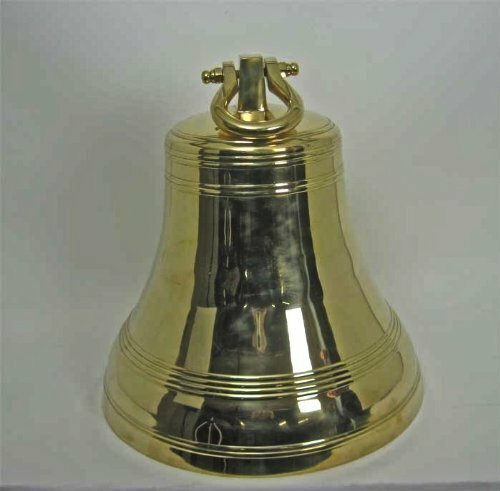 Solid Brass Bell 24" Tall - Huge -Polished Brass Finish. This X- Large Solid Brass Bell measures 18 3/4" in Diameter x 24" High,16" Long Solid Brass Clapper with a 10" rope. It produces a Clear Rich Resonant Tone . Loud! measures 18 3/4" in Diameter x 24" High,16" Long Solid Brass Clapper with a 10" rope. If you have any questions about this product by 24" bell, contact us by completing and submitting the form below. If you are looking for a specif part number, please include it with your message.